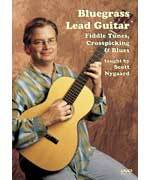 Virtuoso bluegrass multi-instrumentalist Dennis Caplinger, with the able assistance of John Moore, Kenny Blackwell, and Bill Bryson, guides you through all the bluegrass basics and beyond. 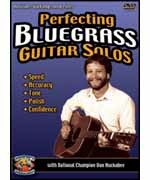 You'll learn classic bluegrass guitar techniques, all in the context of classic bluegrass standards. 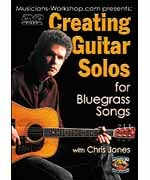 Beginning with basic left- and right-hand techniques, Dennis guides you through developing great backup parts, playing solos, and working with a bluegrass band. 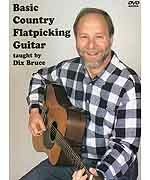 Learn technique through up-close camera angles. 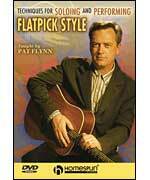 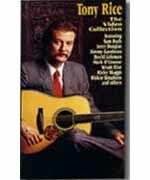 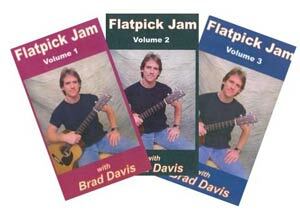 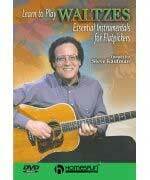 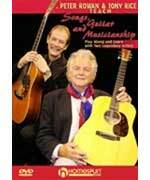 No matter what style of guitar you play, you will love this DVD! 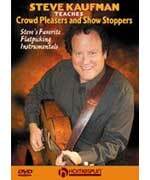 This DVD helps viewers think like musicians. 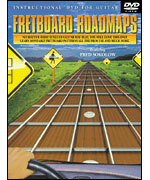 Using familiar tunes, Fred Sokolow teaches the movable fretboard patterns all the pros use. 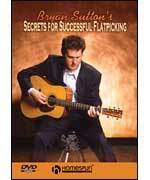 Guitarists will learn how to solo and play back-up in all keys, all over the fretboard. 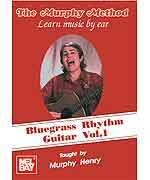 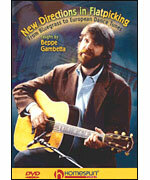 Beginners and intermediate players learn seven gospel favorites in bluegrass/country-style. 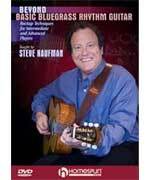 Steve covers basic chords, bass walks, hammer-ons, pull-offs, runs and more techniques to add style to any song. 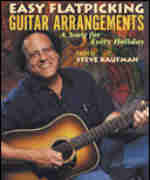 Steve Kaufman has chosen 11 well-known and much-loved songs, each one associated with an important season or holiday. 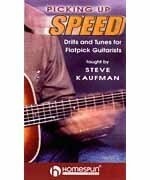 As one of America's most experienced teachers, Steve adds the techniques and advice novice flatpickers will need to pick these as instrumentals. 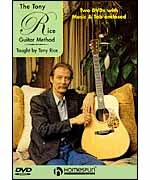 For easy intermediate to advanced level players. 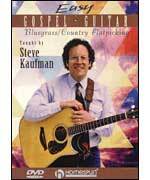 Steve Kaufman teaches his arrangements to some of the most beautiful instrumentals in the guitar repertory, showing how to play them flatpick style: When I Grow Too Old to Dream  Star of the County Down  Ookpik Waltz  Memory Waltz  Skaters Waltz. 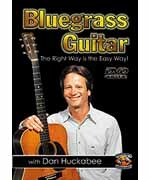 Two undisputed giants in the field of bluegrass guitar pass on the techniques, musical insights and wisdom they have gained through decades of experience. 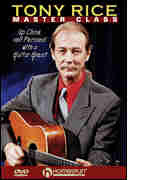 Intermediate guitarists will be guided by Peter's rich rhythm playing, while more advanced pickers will learn from Tony's unique chord inversions, licks and mind-bending solos. 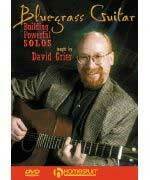 Three-time winner of International Bluegrass Association's “Guitar Player of the Year,” David Grier is a rising star in the world of the acoustic guitar. 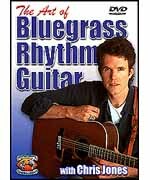 Here he analyzes his breathtaking technique and takes apart some of his signature tunes for intermediate players: Red-Haired Boy, Liberty, Bill Cheatham, Engagement Waltz, and others. 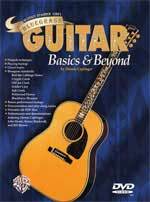 Includes music & tab.